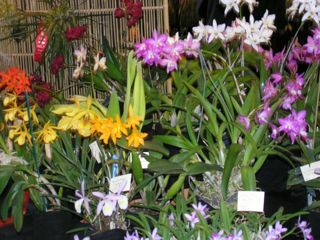 The Spring Orchid Show is up today and tomorrow (Saturday and Sunday, March 8 and 9). I snapped this shot (above) of a Phragmipedium and feel lucky to have seen it. It reminds of the ladyslipper orchids I used to see growing up in the Eastern woods. But it was so red and striking! I was quite taken with it. 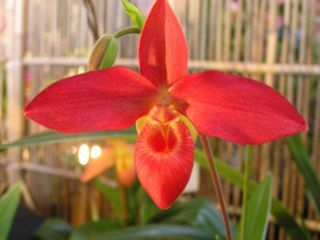 But if its not to your fancy, look to the bottom photo and see what a range of blooming beauties the Denver Orchid Society has on display.